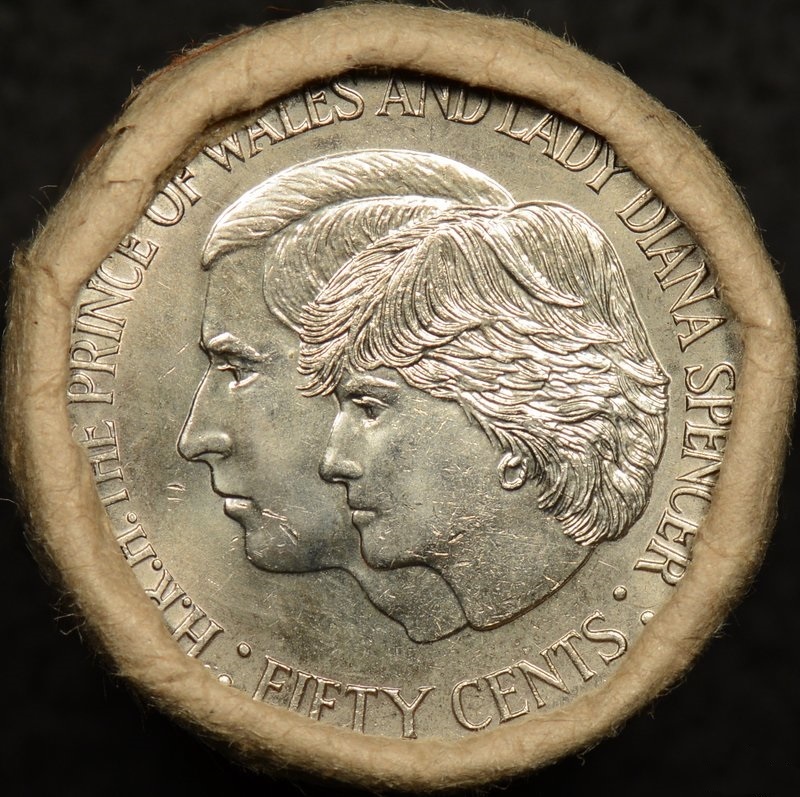 Reserve Bank roll of 20 x 1981 Royal Wedding of Charles and Diana commemorative 50 cent coins. 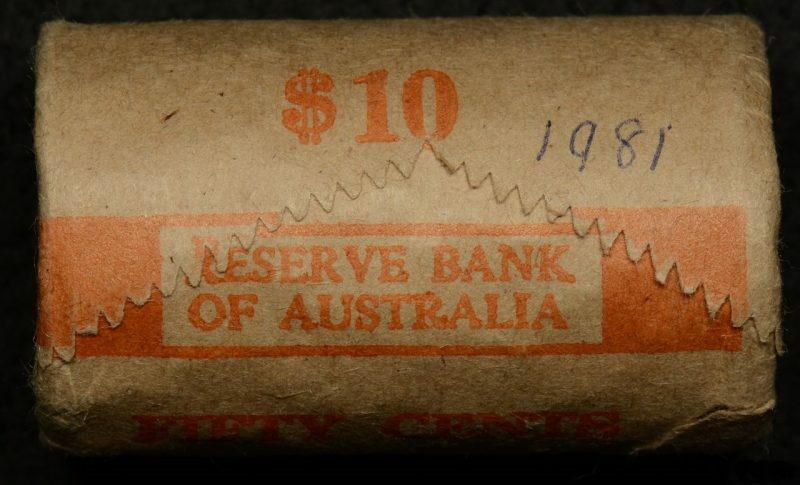 Head/Tail roll, the year “1981” written on the outside of the paper in blue pen. Face value $10. 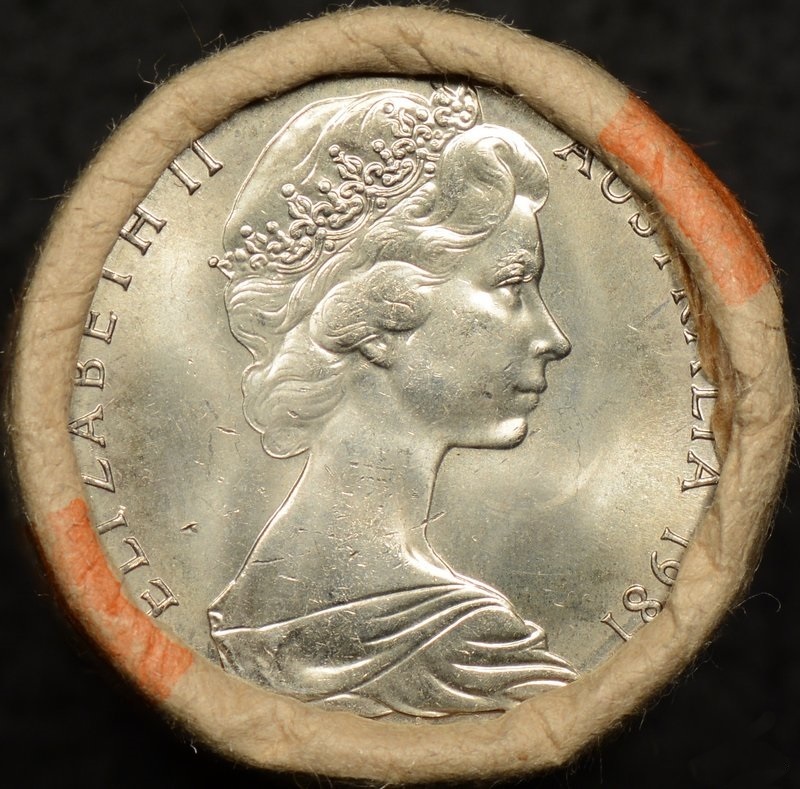 Uncirculated coins. There is a small 20mm tear in the paper that isn’t affecting the integrity of the roll, please see the roll photo side view bottom right.